Blockchain is a tool that allows the trafficking of data and services and ensures financial exchanges happen within a secure setting. Because of this high level of security and variability, it provides valuable opportunities within healthcare. Here are some examples of how blockchain can be integrated. The blockchain technology allows users to prove the authenticity of any document registered in the system. Because blockchain records immutable data, it allows for the storage of clinical trials’ results in a protected fashion, literally making data unable to be modified and ensuring its efficacy. For example, two doctors from Cambridge University conducted a 2016 study to see how blockchain can provide proof-of existence for clinical trials. They found that comparing a unique data code, which is set by the system, with the original makes it possible to verify whether the data of clinical trials has been modified. This is possible due to the inner SHA256 calculator which generates a unique hash every time a modification is made to the data. Blockchain is a powerful way to create a single patient registry — an EHR. It has extraordinary security, a solid operation, and can be retrieved from anywhere. Having this type of infrastructure, data synchronization is a non-issue. With the patient’s approval, physicians can review their medical history and prescribe treatment. All data will be documented in the general directory. This is significant because a private doctor’s appointment is normally not included in a patient’s history, so now it will be possible to have a comprehensive lens into the patient’s medical troubles and treatments. The consolidation of patient data in a singular source, built on reliable distributed technology, is a groundbreaking tool for the collective medical community and patients. Counterfeit products is a rampant problem and can be found all over the Internet, on retail store shelves, on the city streets of Manhattan, and throughout pharmacology — known as drug counterfeit. The Health Research Funding Organization (HRFO) reports that approximately 10%-30% of drugs in developing countries are not genuine. As much as $200 billion is lost annually among US businesses because of drug counterfeiting. The primary reason is not in counterfeiting itself, but because drugs yield contrasting effects than their traditional medicinal equivalents. Not only is it possible that they may not benefit patients in the slightest, but it could even potentially be threatening to someone’s health. Blockchain can help solve this issue. There are two types of blockchain species: private and public. Healthcare blockchain companies, who are reputable and trustworthy, will register their products in the private system to ensure authenticity and the high quality of their medicines. As all transactions in blockchain are time stamped and immutable, it is easy to detect fraudulent drug dealers. Private blockchains are moderated by central entities, and the fact that a specific producer or distributor has access to the so-called drug blockchain is proof of drug authenticity. This is where blockchain transparency comes in beneficial. Once a drug is produced and moves from the manufacturer to retailer, the operational data is recorded on the blockchain. It makes it extremely easy to verify the entire lifeline of the drug and determine all chain links. Each transaction between the manufacturer and the distributor can be recorded in the chain. The technology of blockchain can streamline standard healthcare protocols and electronic health records. Before long, IoT devices will capture patient data, in real time, and instantly be attached to electronic health records; data will be transmitted 24 hours a day. The provider can easily know when blood pressure started to rise, when sugar levels plummeted, and when the migraines began. These insights will allow physicians to more accurately diagnose and prescribe appropriate treatment. 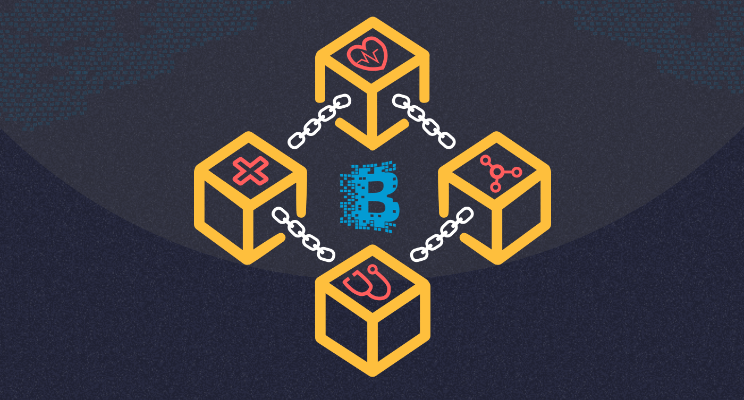 The possibilities of blockchain technology are practically endless, allowing hospitals and health clinics to work more efficiently, at a reduced cost, while providing a higher quality of care to patients. It opens up new opportunities and will lead to a radical transformation in the medical field.